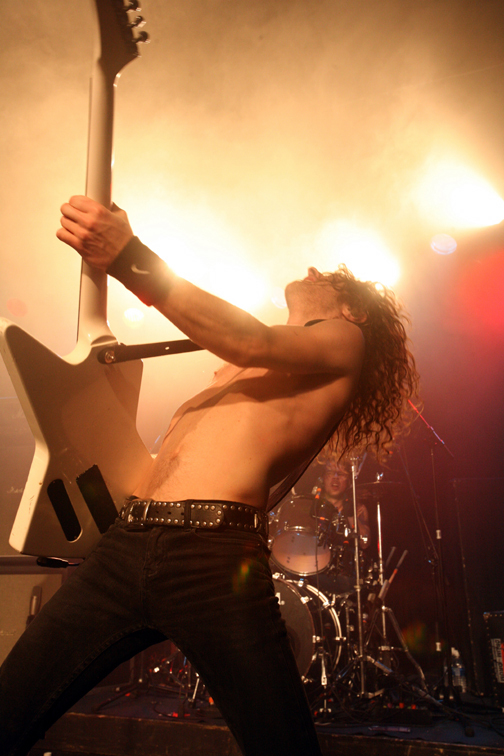 Australia's hardest rocking band Airbourne blew away a sold out Capital Music Hall tonight. Yes I missed shooting Canada's hardest rocking band, Cursed, at End Hits and regret it. I did catch one Cursed song at the first of two sold out shows, and did get to see Chris after the Airbourne show, but I wish the planets would have aligned a bit better to get my face ripped off for the 2nd Cursed set. Hopefully they'll be back sooner than two years.